You and your caregivers will deal with a broad range of emotional and psychological issues upon and after diagnosis. The emotional impact of a cancer diagnosis is hard to measure. It is safe to say that for many people, it is a life-altering event. You may feel depression, fatigue, anger, fear, anxiety or any number of emotions and feelings while dealing with your diagnosis, your treatment and your daily life. This can be a difficult time for your family, your friends and your caregivers. At Winship Cancer Institute of Emory University, we have licensed social workers and medical experts in the field of psychiatry available to you at all stages of diagnosis, treatment and recovery. The goal of all members of our care team is to help you and your loved ones to achieve good quality of life beyond your cancer diagnosis. Winship's on-staff psychiatrist, Wendy Baer, MD, the supportive oncology team and the social services team provide diagnostic and treatment services for patients who are experiencing depression, anxiety or other changes in their mental health that may be having a negative effect on quality of life. If you are experiencing any of these symptoms, please obtain a referral through your oncologist, nurse practitioner or social worker from your oncology team. New patients must meet with a social worker before accessing psychiatric services. To contact the social services team at Winship, call (404) 778-1900. No matter where you are on your cancer journey, you are not alone. 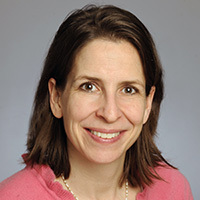 View a video with Dr. Wendy Baer explaining how she works to support the emotional well-being of cancer patients and their families.